Working with an audiologist in Ontario ensures a custom solution to hearing loss. In the past, combatting hearing loss meant using a one-size-fits-all hearing aid. They might be slightly customized to fit your ear canal, but that was about it. Obviously, this was only a stopgap solution, not one that really provided the benefits hearing loss suffers needed. Today, you can work with an audiologist in Ontario to ensure that you get the guidance necessary, as well as the right hearing aid for your needs. When you choose an audiologist in Ontario, you’re working with a medical professional with significant training and education. He or she will be able to provide you with a number of benefits, beginning with a hearing health assessment. 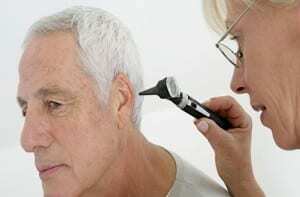 Your hearing history will be discussed, and then your ears will be examined to determine the cause of hearing loss. After this, you’ll got through several in-depth hearing tests to help the audiologist diagnose the extent and localization of your hearing loss (which ear it affects the most or if both are equally affected). Finally, you’ll be given a diagnoses, and then be able to ask questions about how your hearing loss will impact your life, and about the solutions to the condition. Your audiologist will demonstrate several different hearing aid models and explain their features, as well as the availability of advanced technology like Bluetooth. When everything is said and done, working with an audiologist in Southampton, Ontario ensures that you’re able to find the ideal hearing aid for the severity of your hearing loss. From a professional medical diagnosis to personal guidance, Pindrop’s audiologists work with you every step of the way. Call us today at 866-924-1676.